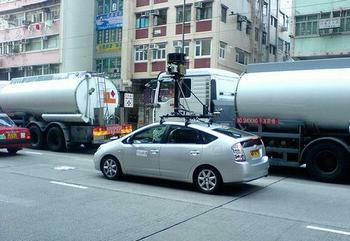 SHANGHAI, China, November 4, 2011 (ENS) – Toyota Motor Corp. plans to sell Chinese-made hybrid cars from 2015. General Motors and Daimler AG are building Chinese-branded EVs and Ford is thinking it over. 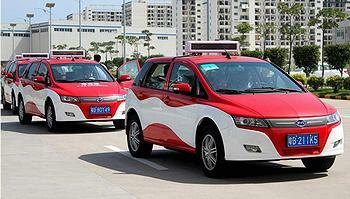 Toyota Motor Corp., a company based in Japan, is aiming to sell Chinese-made hybrid cars from 2015. To make that happen, the company has announced plans to invest US$689 million in a new R&D center for low-emission vehicle technology in the eastern China city of Changshu. Toyota said the new R&D center, located some 100 kilometers (62 miles) northwest of Shanghai, would become operational with test tracks and other facilities ready by 2013. Toyota, the maker of Prius hybrid cars, plans to develop hybrid component technology in China and start selling vehicles with Chinese-made hybrid systems through its joint ventures with Guangzhou Automobile Group Co and FAW Group, the company said. “Importance will also be placed on the development of environmental technologies, with consideration given to the local manufacture of major components for use in environment-friendly vehicles,” said Toyota. The company aims to cooperate on environmental technologies with joint-venture partners, suppliers, other manufacturers and universities. This new R&D facility is just one of the many transnational advanced vehicle partnerships coming together right now in China. General Motors, a U.S. company, and Daimler AG, based in Germany, have committed to building Chinese-branded electric vehicles for the Chinese and Asian markets. In September, SAIC Motor Corp. Chairman Hu Maoyuan and General Motors Chairman and CEO Dan Akerson signed an agreement in Shanghai for the co-development of a new electric vehicle architecture in China. Joint teams from the parent companies will develop key components and vehicle structures. “The co-development of this new electric vehicle architecture demonstrates the broad range of benefits made possible by the strong partnership between SAIC and GM,” said Tim Lee, president of GM International Operations. The agreement will leverage SAIC’s market knowledge and local expertise along with GM’s expertise in electric vehicle development and global know-how. It will ensure local input in the development of electric vehicle technology and the delivery of products developed in China. Daimler and BYD Company of Shenzhen, China, the world’s largest producer of lithium-ion batteries, have announced plans to produce a BYD electric car next year in China. While Zetsche indicated that Daimler would do the lion’s share of the research and development, BYD, which stands for Build Your Dreams, is attractive to Daimler because of its battery technology. Also a car manufacturer, BYD makes lithium iron phosphate batteries to power its plug-in hybrids and electric cars. Ford Motor Co., which is based in Michigan, is considering building electric vehicles with its joint venture partner in China in addition to its many other projects here, but the company has not announced any plans to sell or produce electric vehicles in China. Ford and Changan Automobile Group are building the transmission plant at their joint venture Changan Ford Mazda Automotive, bringing to US$3.5 billion the total investment in China by Ford and its partners. Other electrified Ford models being sold in China include the Transit Connect van, and the Edge, Focus, Fiesta, Mondeo and S-Max models.